Trusting and depending on others has never suited nineteen-year-old Charlotte Cooper, who believes she's unworthy of a happily ever after. She's fiercely loyal to one - her BFF Joe. 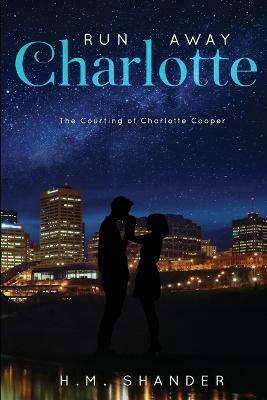 Afterall, Joe's the only one who knows everything about Charlotte and he's sworn to protect her he... read full description below. Trusting and depending on others has never suited nineteen-year-old Charlotte Cooper, who believes she's unworthy of a happily ever after. She's fiercely loyal to one - her BFF Joe. Afterall, Joe's the only one who knows everything about Charlotte and he's sworn to protect her heart, and her deep dark secrets. Until Andrew Wagner walks into her life. Despite his attempts to court Charlotte, she pushes him away, believing he can't handle her past shadows. After a horrible accident, she slowly learns to trust and depend on him. As she shares her darkest secrets, he falls in love with her. Several incidents thrust the young lovers together, and Charlotte falls hard, giving her whole being to Andrew. While trying to be everything he can for Charlotte, he struggles to find the balance between family, school, love and commitment. However, their different definitions of love and what it means to love unconditionally come to a head after Andrew spends a summer abroad and Charlotte crosses a line. His reaction sends a devastated Charlotte into the arms of Jack, an older man who can successfully balance what Andrew failed to do. He puts Charlotte first, treating her like a princess while capitalizing on her vulnerability. He gives her everything her heart desires... except Andrew. When it comes to matters of the heart and mind, which direction do you follow? Love or Logic?